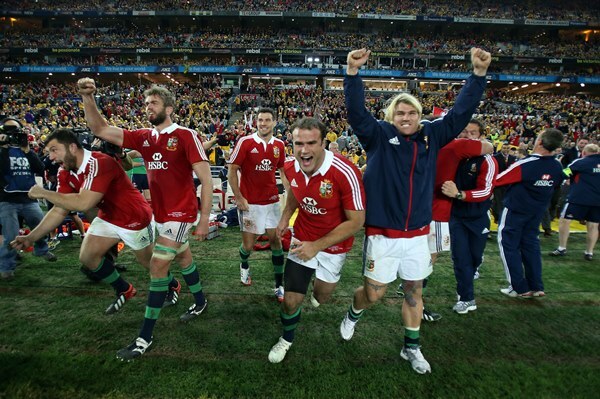 Australia boasted the largest ever rise in visitor arrivals in June as fans of the British and Irish Lions invaded the country to watch a one-in-12 year rugby test series. In a boost to the economy that might make up for Australia losing the series, arrivals from the UK surged 68 percent in June to a record 81,400. That helped lift overall June visitor arrivals by a thumping 7.6 percent on seasonally adjusted basis to 564,100, according to data from Australian Bureau of Statistics released on Friday. That was also the highest on record and up 10 percent from June last year. Lions brought around 30,000 British tourists along in their wake, generating up to A$150 million ($138 million) for the national economy. Visitors from China fell slightly in June from May, but at 63,400 were still up 18 percent on the same month last year. China has been an increasingly important source of tourists for Australia, more than making up for a long decline in visitors from Japan. A lower local currency seemed to have a negligible impact on Australians’ love affair with travelling. Short-term trips abroad totaled 734,000 during June, up over 5 percent on the same month last year and yet another record.